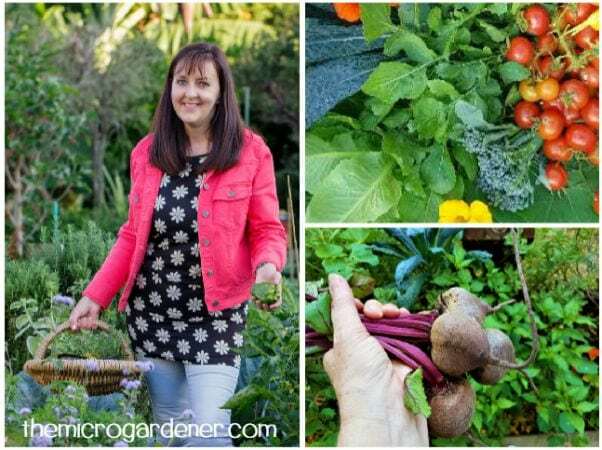 My husband often says to me ‘How does the garden produce so much when you don’t spend much time out there?’ The key reason is I’ve built healthy soil. It has an incredible buffer in it that has enabled plants to survive AND thrive in harsh conditions. 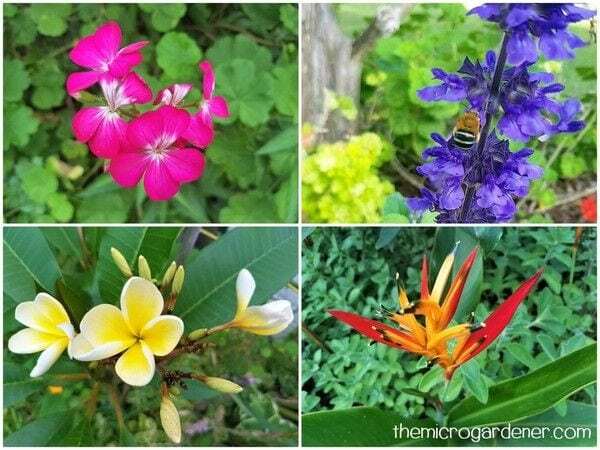 The garden is a beautifully balanced ecosystem. It’s NOT perfect because I work and have limited time. I aim for continuous productivity, not perfection! 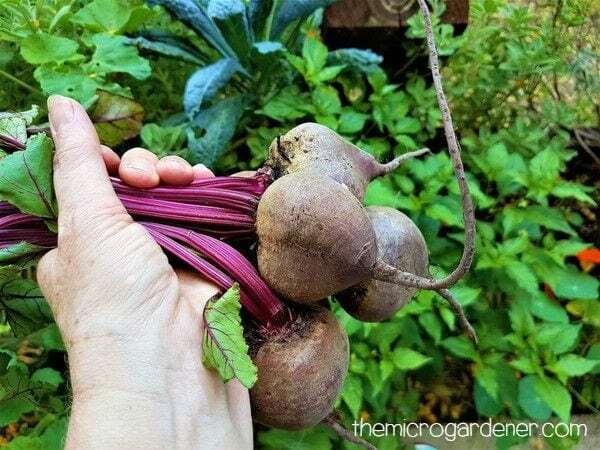 The birds, insects and soil life have come to live in my garden because I don’t use chemicals, have created habitat, provide water and food for them, and put love into my soil. They do the hard labour for me and are ‘caretakers’ if you like, in my garden. ‘Pest and disease managers’ taking care of business, when I’m not around. 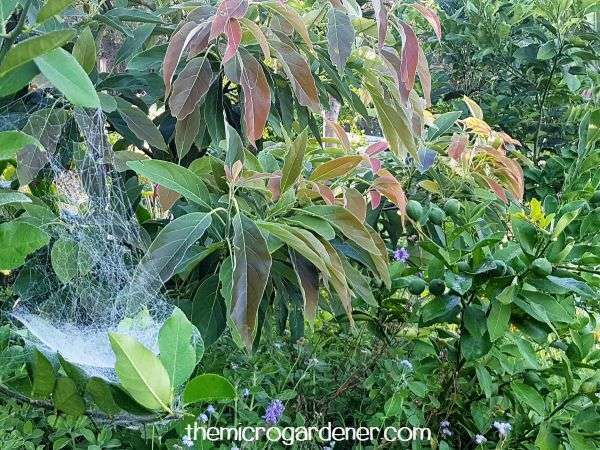 Over the past year, I’ve noticed more spider webs catching pesky prey. As my fruit trees create a bigger canopy, there’s more habitat and shade for the birds who are spending longer in my garden. There’s definitely been a huge decline in grasshoppers this season. Noticably so! I’m thrilled there’s a balance of predators to pest insects. 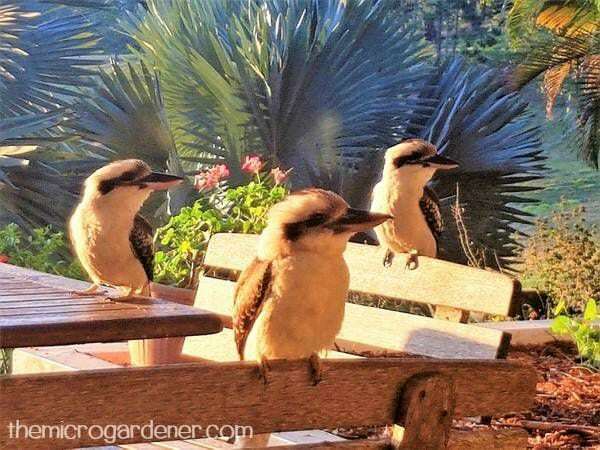 3 wild native but very cheeky and friendly Kookaburra sisters are regular daily visitors. They keep rodents and snakes in check. The next generation of babies come out of the nest each January and I watch their first flying lessons with their parents and siblings. I’ve also put the systems and good design in place to help me reap the rewards. 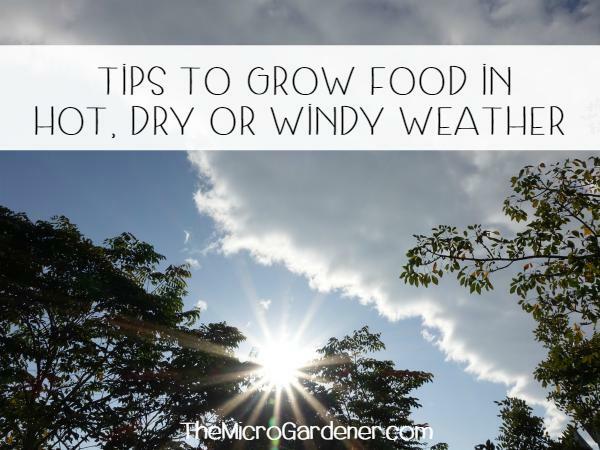 I intentionally plan what I’m going to plant when, and companion plant so I maximise the benefits in my garden and use minimal water. Part of the garden has an irrigation dripper system, which was a time saver, and the rest just got an occasional hand watering. 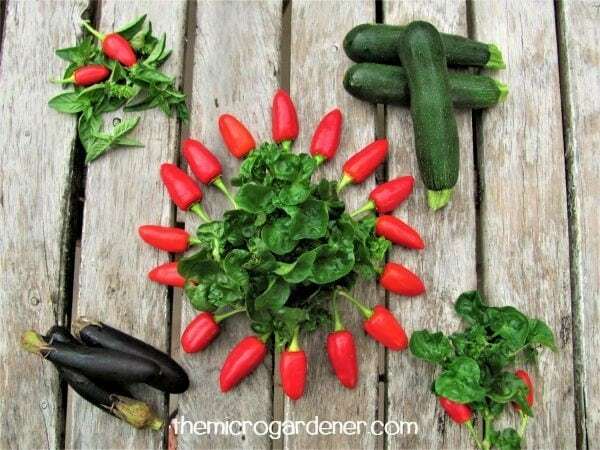 Despite these harsh conditions, the continuous harvests proved to me over and over that when you design your garden well, work with nature, apply principles and build healthy soil, in time, it becomes resilient, abundant and sustainable. We pick fresh ingredients for every meal. From the sustained energy we enjoy, I believe this nutrient-dense plant-based diet is continually healing and nourishing us. 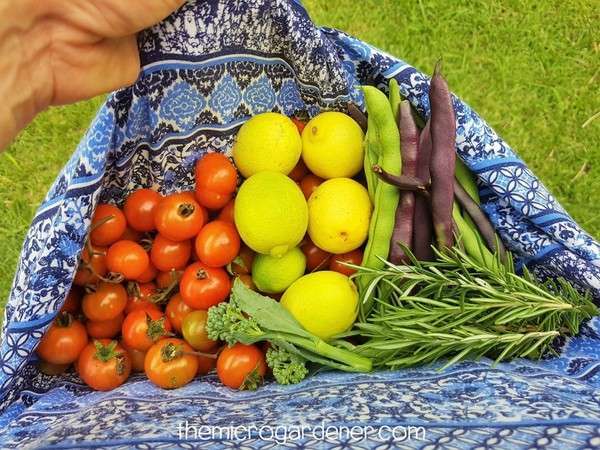 I often go out to grab just a few herbs or a handful of tomatoes for a salad and come back half an hour later with a basket or bucket of something that just needed to be harvested! 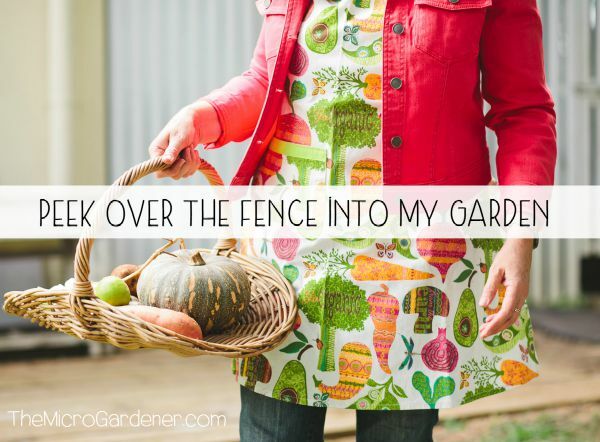 It’s easy to get ‘lost’ in the garden – in a good way! We have more than enough for our own meals and plenty to share. This is one of my greatest joys. Here’s a quick snapshot of a few of the edibles I’ve been growing. 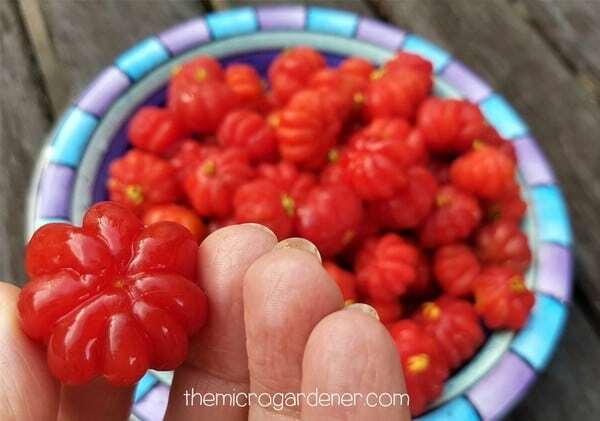 I have a lot of fruit trees planted in a small space that produce kilos of fruit every year. 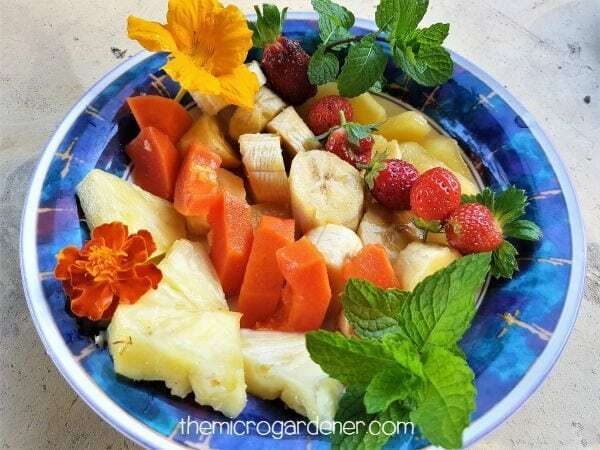 Fruit also grows on shrubs, vines and plants in pots. 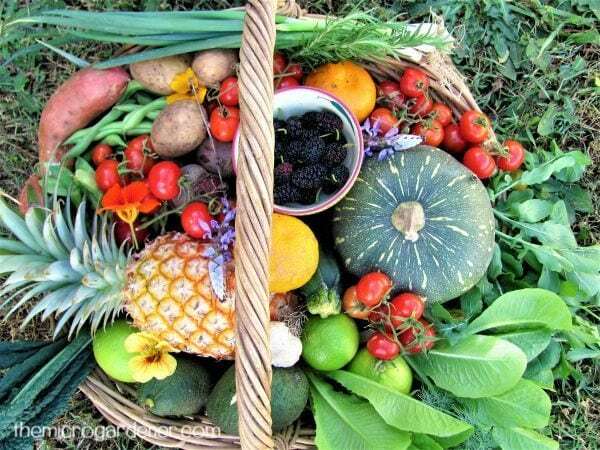 Even if you have a small space, you can grow at least some kind of fruit. These are what I’ve been growing this year. 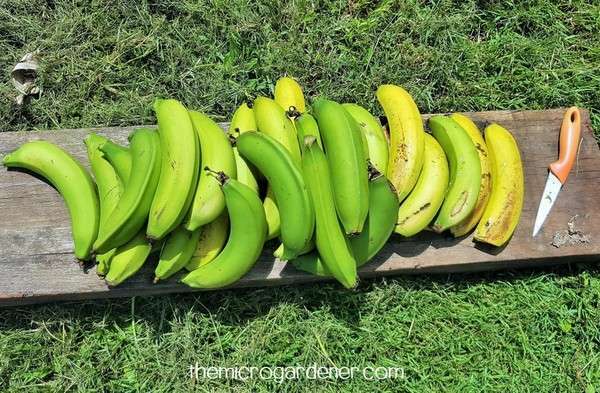 Bananas (240+kg), limes (grown from seed), mangoes, feijoas, pineapples (grown from replanting the tops), mulberries (grown from cuttings), strawberries (grown from runners and seeds), raspberries, mandarins, tropical and dwarf peaches, papaya (self-sown from compost), passionfruit (many self-sown), pepinos, pummelo, lemons, kaffir limes, dragonfruit and grapes. 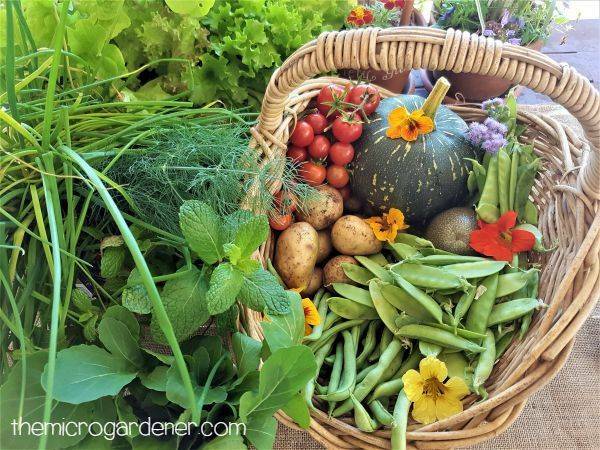 Asian greens, asparagus, avocado, beans (climbing, dwarf and snake varieties), beetroot, broccoli, cabbage, celery, chard, chilli, capsicum, cucumber, cucamelons, dandelion greens, eggplant, galangal, garlic, ginger, kale, leek, lettuce, mustard, peas, potatoes, pumpkin, radish, silverbeet, sorrel, spinach (many varieties), spring onions, sweet potatoes, taro, tatsoi, tomatoes, turmeric, upland cress, yakon, yam and zucchini. 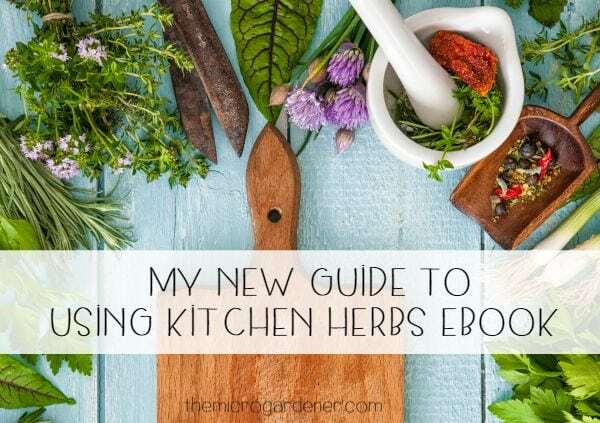 Aloe vera, alyssum, basil, borage, calendula, chia, chives, comfrey, coriander, cosmos, dianthus, dill, garlic chives, gotu kola, herb Robert, lemon balm, lemon grass, lobelia, marigold, mint, mother of herbs, nasturtiums, native violets, oregano, pansies, parsley, pineapple sage, rocket, rosemary, stevia, sunflower, thyme and violas. My husband is used to my ‘indoor gardens’. I have plates of seeds drying on our kitchen bench and glasses of water with all sorts of herbs and cuttings that I propagate indoors. Since he enjoys home cooked meals with freshly grown ingredients on a daily basis, he’s not one to complain. Not often anyway. Bribery works wonders! 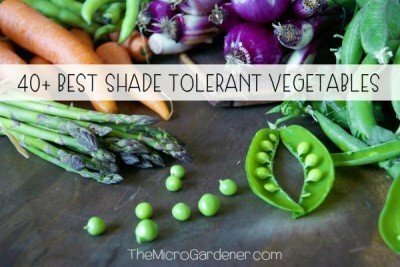 He told me several times over the past 12 months that I’m actually quite an accomplished indoor gardener. He pointed this out when he discovered potatoes, onions and sweet potatoes sprouting in the bottom of our pantry. Not just a few eyes with small shoots. OK, OK they were at the back of the cupboard and had long stems and leaves! 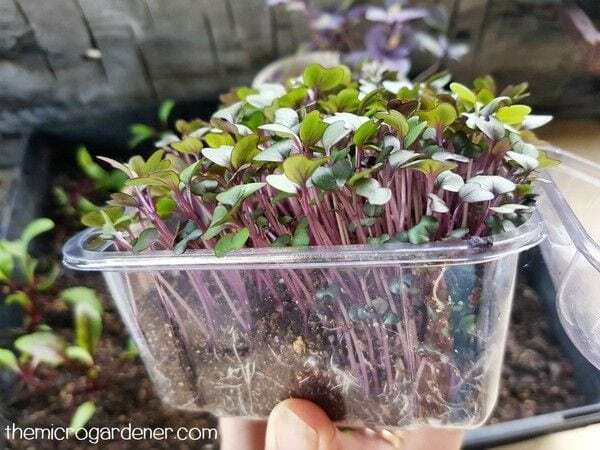 Sweet potato sprouting shoots and leaves, perfect for planting! I told him I was growing them in there so they were ready to plant out in the garden. I had a bit of convincing to do, but I think I got away with it! Isn’t that what dark cool pantries are for anyway? 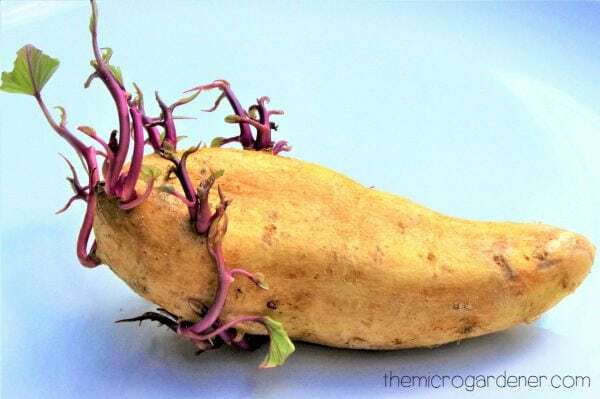 Plant propagation! He wasn’t so believing when he asked me what the ‘science experiments’ were that he found in the fridge. A few ‘furry’ UFOs (Unidentified Food Objects) – at least that’s what we call them in our house. Some were quite impressive and we even had a guessing competition. You know, “What WAS it in its previous life?” Could it have been a piece of ginger or was it garlic? At least the evidence could be composted. I’ll be better this year. Promise. Hope you enjoyed the harvest pics. 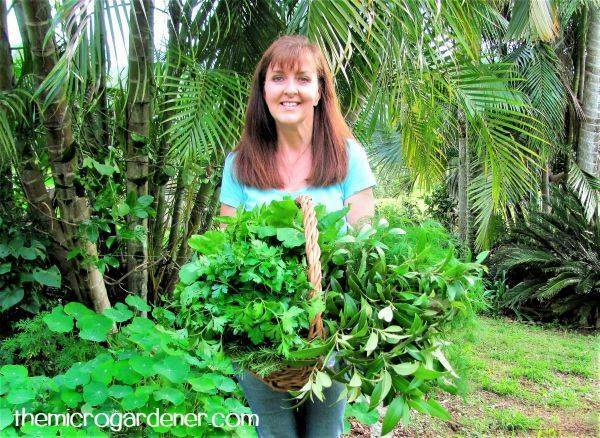 Want some help designing your own productive kitchen garden? 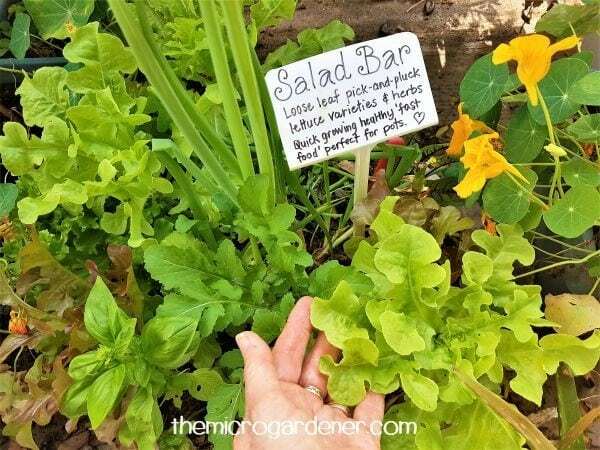 Check out Design Tips for a Productive Kitchen Garden.